2. 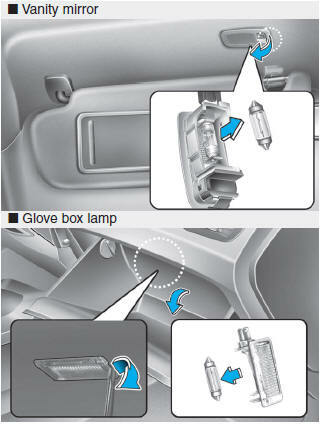 Gently remove the center cover of the rear tailgate trim. 4. 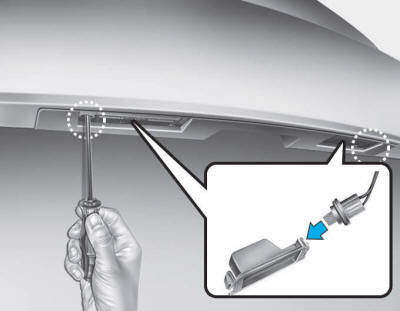 Loosen the retaining nuts and remove the spoiler. 5. 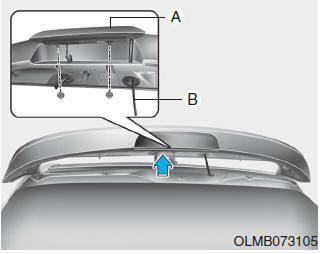 Remove the high mounted stop light assembly (A) after loosening the nuts and washer nozzle (B). 6. 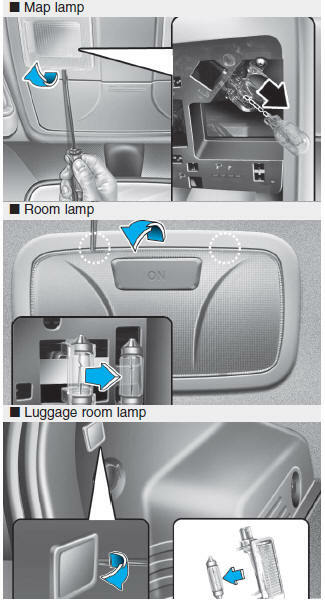 Reinstall a new light assembly in the reverse order of removal. 1. Loosen the lens retaining screws with a philips head screwdriver. 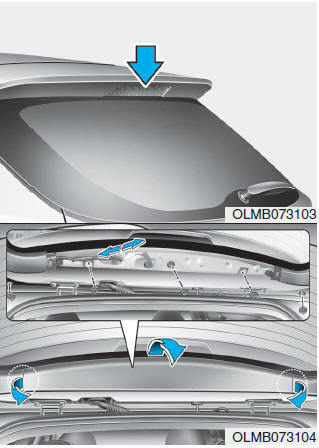 Use care not to dirty or damage lenses, lens tabs, and plastic housings.